Quartz crystal clusters. Each one is different from inside the Earth. Use as energy amplifiers or li.. Dramatic color enhanced quartz crystal "black" or blacking doesn't express the brilliant metalic gol.. This quartz cluster has been color enhanced metallic blue, purple and burnt gold, which makes it dra..
Color enhanced quartz crystal gold create a blend making a rose and citrine cross color shimmer on t.. This quartz cluster has been color enhanced purple, blue and burnt gold, which makes it dramatic. Sp.. 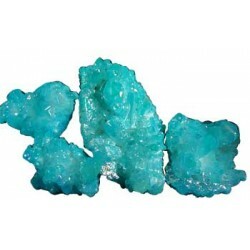 This quartz cluster has been color enhanced metallic bright translucent light blue, which makes it d..